May greetings everyone! 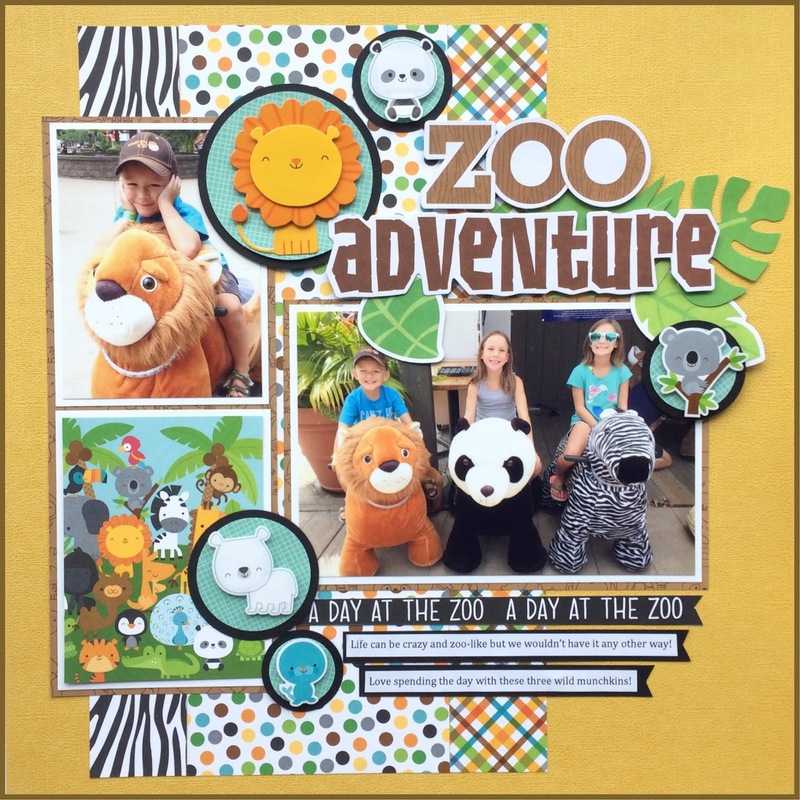 hope you have been enjoying all the fabulous inspiration using At the Zoo! 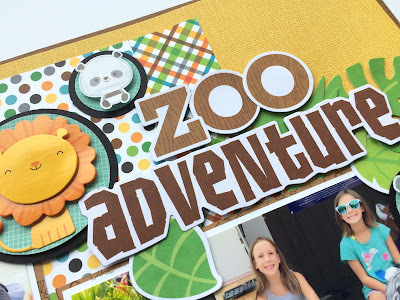 I am wild and bananas over all the cute animal prints and adorable animal icons! 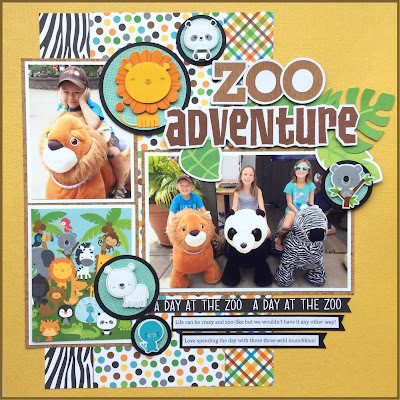 For my zoo page, I had a plan to balance the large landscape photo with a vertical element but since I only had one other photo I opted to use pattern paper in the place of where a 3rd photo would be. The animal icons are so cute, I used a doodle-pop along with some of the animals from the mini icons sticker sheet. 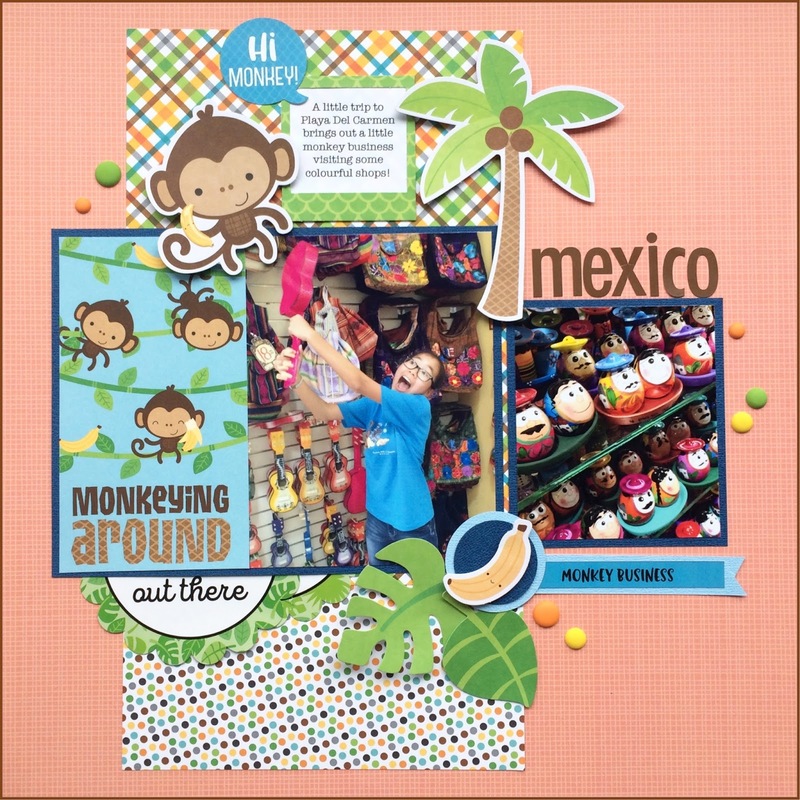 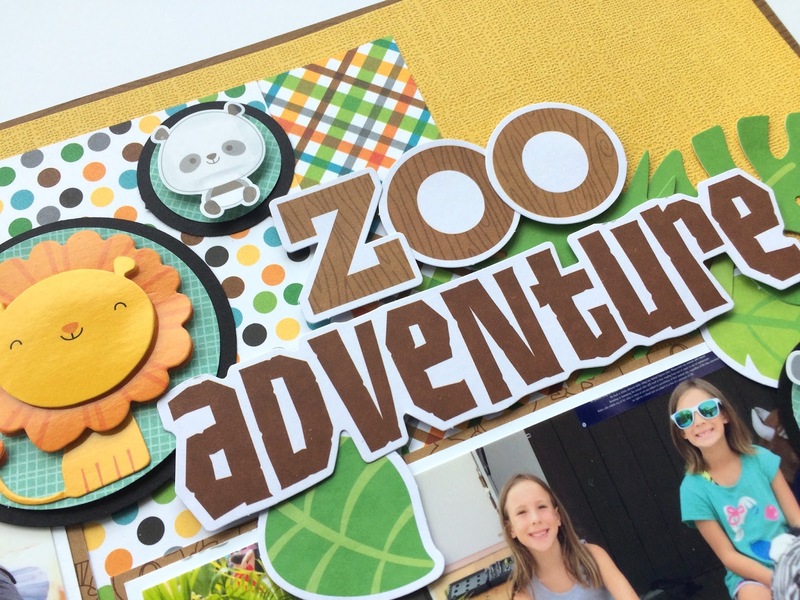 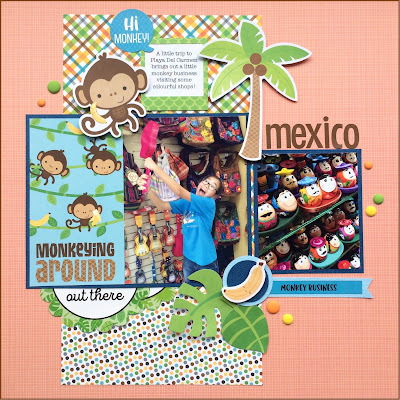 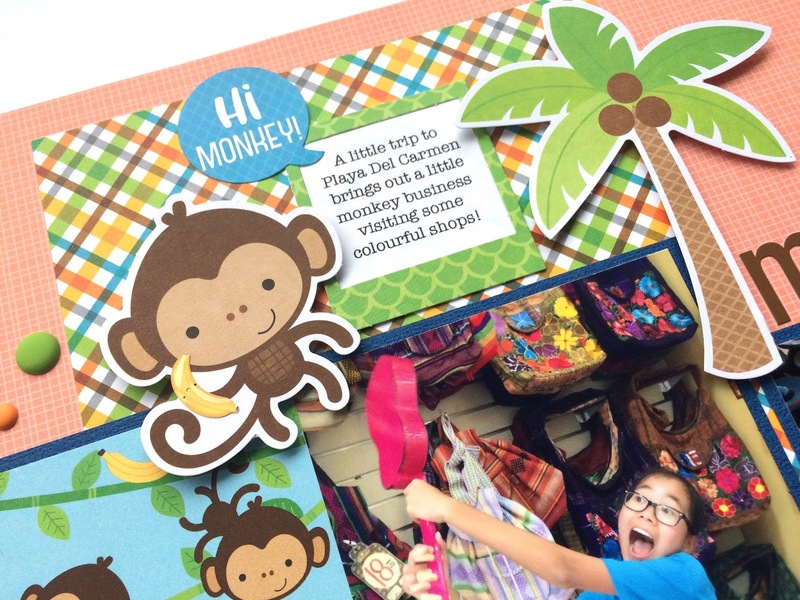 For my 2nd page, I clustered some tropical elements along with the monkey for a playful approach to a funny scrapbook memory. 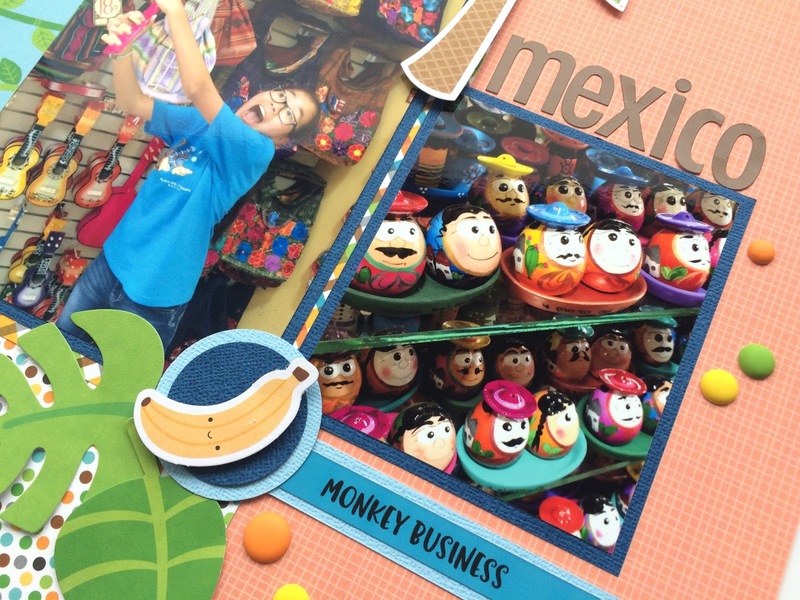 I matted one of the cut-a-apart cards side-by-side flush with the photo to caption the gist of the memory. 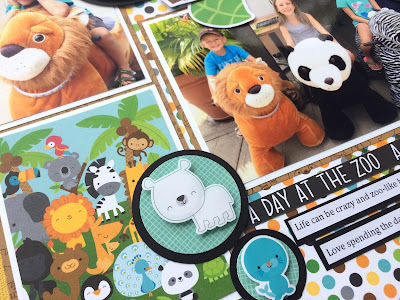 Thanks for stopping by the blog today, hope you have a wonderful crafty day!